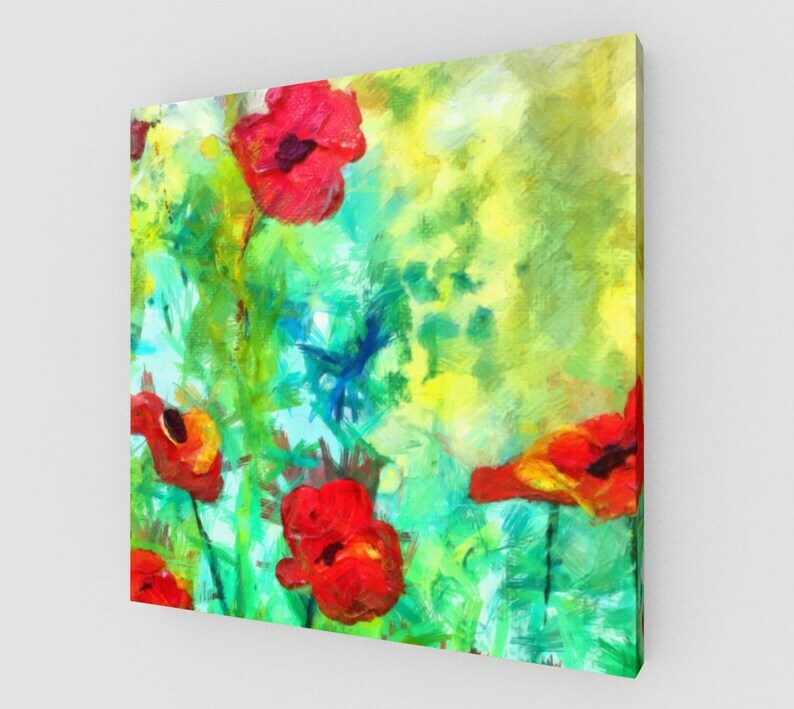 Museum quality canvas prints made with colorful art to brighten up any space in your home or office. I painted this with Acrylic paints and watercolor, then worked on it in Photoshop to create this unique artwork available as canvas or prints. READY TO HANG with pre-attached hanging wire and hardware included. Art © Claire Bull Please do not copy or reproduce my art. Watermark does not appear on your purchase. Thank you. This is a custom made item with my artwork, created when you order it. Once the order is placed, manufacturing begins and no cancellations or returns are accepted as each item is made to order. Each item is handmade so variations can occur. Art meets Fashion through creativity and passion. A canvas gallery wrap is an investment piece that will last for generations without fading, yellowing or cracking. My production companies use only the highest quality materials and processes. Due to high production costs and the custom nature of canvas prints, my Canvas Gallery Wraps are non-returnable and non-refundable. However, if your canvas arrives damaged, please notify me as soon as possible to rectify the issue.